Deleted, Formatted, or Inaccessible files? Recover them with this Deal! 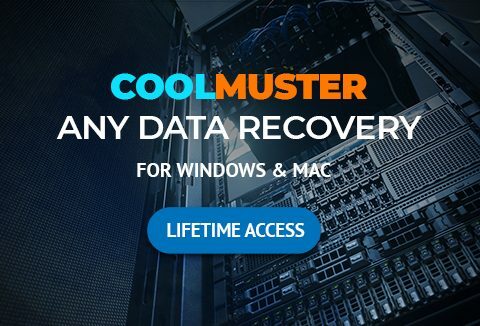 Introducing Coolmuster Any Data Recovery, a stress-free way to recover your lost or deleted files. Now recover anything easily, quickly & effectively without any risk! A Sneak Peak Inside Coolmuster Any Data Recovery! Why Choose Coolmuster Any Data Recovery? Coolmuster Data Recovery for Mac and Windows comes with a Wizard mode. It takes beginners through the data recovery process step-by-step. Recover more than 550 file formats, including photos, videos, music, docs, emails, .zip, and more. Deleted, formatted, or otherwise inaccessible files can all be recovered. Recover data from not only the internal hard drive but also all kinds of external hard disk. Greatly increase data recovery success by using Deep Scan - Completely scan data in the entire file system. Choose the recovery modes according to your own needs. Image Preview helps you find your target files and check their properties & quality before you decide to recover them. Preview of documents and archives lets you confirm in advance whether each file is indeed one you want to recover, or not. Performs READ-ONLY operations to retrieve & recover your target files to avoid making further damage to your computer and data. This deal includes a lifetime license. The product can be used for personal use. Registration of the product is available for one computer. This product purchase includes no support and free updates. Coolmuster data Recovery making protection easy & affordable!